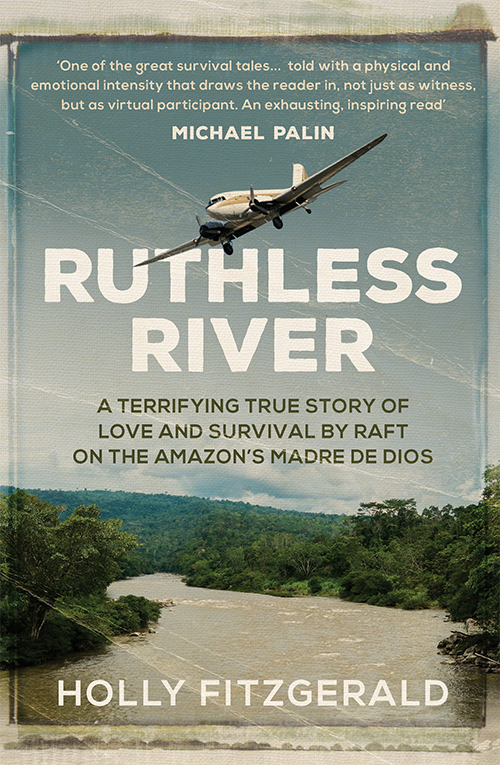 A heart-pumping story of adventure — a couple survive a plane crash in the amazon only to end up clinging to a raft surrounded by death at every turn. Holly FitzGerald and her husband, Fitz, decide to turn a belated honeymoon trip into the adventure of a lifetime, backpacking around the world. When their plane crash–lands in Peru at a penal colony walled in by jungle, their blissfully romantic journey turns into a terrifying ordeal. A makeshift raft soon becomes their universe as they battle the ruthless Madre de Dios River. With no food, swarms of insects attacking them by day and predators surrounding them at night, their only hope is to hang on and find their way east to a large riverside town, before it is too late. When a storm strands them in a dead end swamp so flooded there is literally no land to stand on, their raft – a mere four logs – is the only thing that separates them from piranha and other deadly animals. They are marooned, starving and alone. All hope lost, Holly cradles Fitz, ready to face the inevitable. Ruthless River is an unforgettable story of how two people survived against all odds — and what they learned about love, trust and endurance.